As a famous Montreal athlete and celebrity in the city’s Irish Canadian community, in early 1916, Trihey offered to raise a battalion. Trihey conceived the Irish Canadian Rangers as uniting his own Roman Catholics with Irish Protestants. Under the motto “Quis Separabit” (“Who Shall Separate Us? 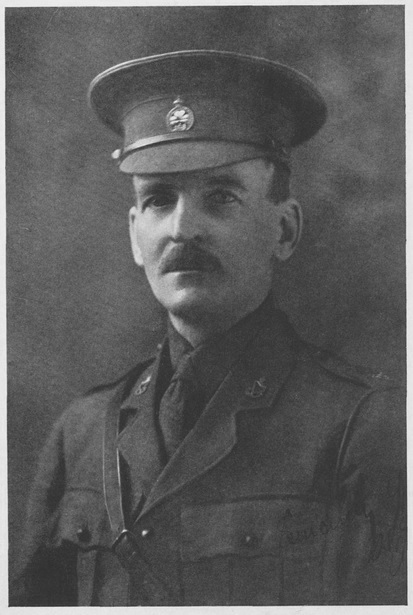 ), the 199th Battalion arrived in England just after Trihey’s thirty-ninth birthday, on 26 December 1916. Stunned by rumors that his unit was to be broken-up, Trihey charged the Canadian government with deception as the 199th had been promised to remain together. 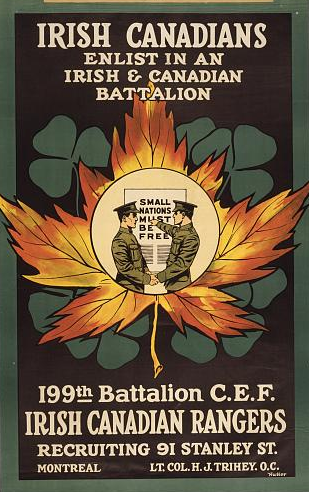 Irish hostility in the aftermath of the Easter Rising and British political maneuvering to exploit the Irish Canadians as propaganda tools further frustrated Trihey. Recognizing the irony of his slogan “Small nations must be free,” the disillusioned colonel and his second-in-command Major W. P. O’Brien resigned on 9 January 1917. J. V. P. O’Donahoe assumed command of the 199th and led the battalion on a planned tour of Ireland. For his part, Trihey wrote a strongly worded letter to the New York Evening Post in which he criticized Ottawa’s manipulations and the British occupation of Ireland. Only the intervention of Doherty saved Trihey from charges of sedition. His experience overseas seemed to diminish Trihey’s enthusiasm for the war effort. During the December 1917 federal election, he opposed the “vile and indefensible propaganda” of the Union Government and called on fellow Quebec Catholics to vote their conscious against conscription. Trihey died on 9 December 1942 at the age of sixty-four. As a testament to his contributions and innovations to the game, he was inducted into the Hockey Hall of Fame in 1950.